If you smell gas, get everyone out. Use your neighbor's phone to call a qualified repair person or the gas company immediately. If possible, shut off the gas main from outside the home. Caution: Never attempt to repair gas lines yourself. 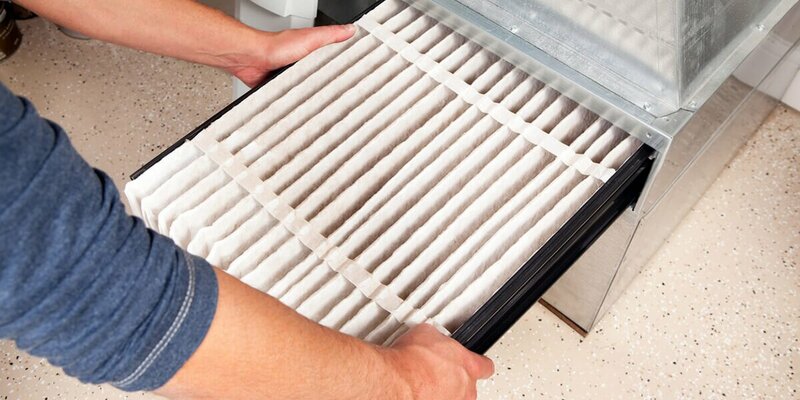 Clean or change furnace filters regularly. Replace disposable filters. Wash, brush or vacuum permanent filters. Check the exhaust vent from the furnace. Clear obstructions such as leaves or animal nests from the vent pipe. Keep roof exhaust vents clear of snow. Inspect the blower motor with the power off. Check air intake. Most mobile home furnaces draw combustion air from beneath the home. To allow air to pass freely beneath the home, the skirting should have four to six vents. Be sure the thermostat on your furnace is in good working condition by keeping it clean. Have it checked periodically by a heating professional. Clean out debris in the furnace area. Never use your furnace closet for storage or drying clothes. Check the flue assembly (when cool) for alignment and rigidity. The flue should run in a straight line from the top of the furnace through the ceiling. Be sure the flue is attached to the furnace collar. Check for loose wiring near the flue. If you find any, move it and secure it well away from the flue pipe. Keep the flue pipe free of excessive deposits of carbon. Have your furnace maintenance person check and clean the flue pipe, fuel lines, safety controls and burner before each heating season. Referrals are the biggest compliment you can give! and co-workers. We'd love to help them with their insurance needs. All Rights Reserved | Created by Plumb.